Spandex Vase Kits for Your Wedding or Party Event...SmileyMe.Com! Spandex Vase Covers: Beautiful Colors, Popular Sizes, Reusable! New Spandex Covers Perfectly Sized to Fit Over Glass Eiffel Tower Vases! Available in 6 Popular Vase Sizes & Assorted Vibrant Colors. Ideal for Wedding Designers & Party Planners who Want to Offer New Color Options to Customers. SmileyMe Brand Spandex Covers Add a Nice Touch to Your Already Purchased Eiffel Tower Vases & can be Reused Again & Again. Can be Used with Floral or Feather Centerpieces too. Beautiful Spandex Vase Kits for Your Wedding Centerpieces...a Reusable Party Item! Easy to Put Together & Store Between Events. 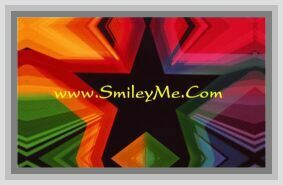 SmileyMe Brand Spandex Vases are Available in Popular Colors that can be Used Again & Again. Purchase Vase Kits Once...Add More Colors Later with Our Covers Only Option. Kits Include a Stretchy Spandex Cover & Clear Acrylic Vase Frame. Perfect for Light Weight Ostrich Feather Wedding Centerpieces. Review: Letting you know we received the covers and they are fantastic! Thanks so much! Review: Ordered sample covers of Spandex vases and they came today. I love them & cant wait to send photos of finished arrangements. Review: Thanks, the spandex kits looked great! Review: I received my previous shipment and was so excited so I bought another set.